Darksiders 3 hits store shelves in just over a month’s time. As launch draws near, details about the length of most games begins surfacing. Recent examples of note include Assassin’s Creed Odyssey and Red Dead Redemption 2. Darksiders III is no exception. Players should anticipate to spend that 15 hours or more entrenched in gameplay possibilities. Environmental puzzles and boss battles constitute just a couple of examples of what Darksiders III has to offer. Of course, the player character, Fury, is one of the game’s most compelling components. Based on gameplay, she’s quite different from previous Darksiders protagonists, War and Death. Fans of the series have plenty to look forward to after Fury’s adventure launches. As expected, there are plans for a fourth entry, should the stars align. However, even before a potential Darksiders IV gets its hype train rolling, Fury will receive additional chances to shine in two DLC releases—The Crucible and Keepers of the Void. 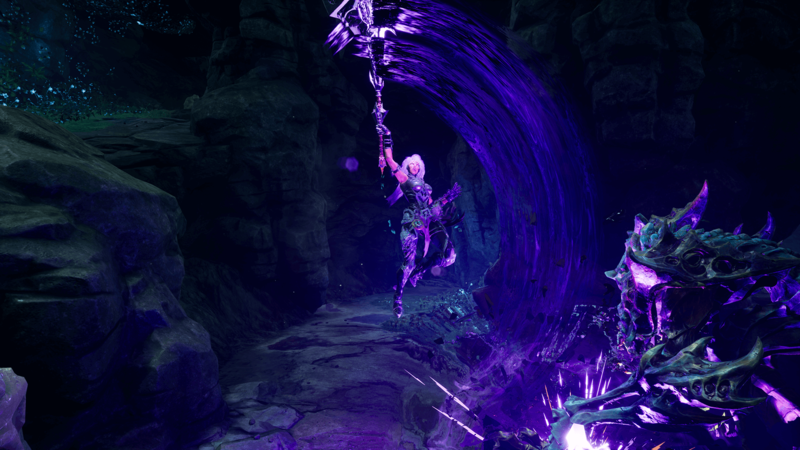 Gunfire Games has yet to announce a release date for Darksiders III’s post-launch content. Information about pricing for both pieces of DLC is similarly lacking. The third Darksiders entry arrives on the PlayStation 4, PC, and Xbox One on November 27, 2018.